He quit a well paying and promising banking career to tow an uncertain, ill-defined path- music. Although with a retired broadcaster and classical music composer for a father, his father will not hear of any of his children not plying a professional's route since he studied music in school himself. Armed with a degree in Agricultural Extension from the University of Nigeria, Nsukka, Obiora Nwokolobia left Enugu to serve in Lagos at the Fidelity Bank. But his calling, music, will not let him be. Upon releasing a chart-buster for an album, out of which came the single, Onyinye, the young officer turned singer knew it was music or nothing else. Enjoy the rest of the story as Obiora Obiwon takes us through his transition. How long have you been playing music ? I will say I started professionally in 2005. Why would you leave certainty for uncertainty? I wasn't happy. I felt I was wasting my biggest talent. I released my first album in July 2006 and resigned my job later in December same year. I had already worked for three years. How did you manage the popularity when customers came into the banking hall and found you were the cashier? It was crazy during the time because even in 2005, I had released a couple of singles. I released Onyinye's video in October 2006. How did you get the bank job? Was it part of fulfilling ambitions? I just happened to get a job in the bank. When I entered the bank, my idea was that I didn't want to end up a banker because my first love had always been music. How long did it take you before you found the courage to leave banking? I got to a point that I soon realised that I would not be able to take my music to where it should be if I didn't quit. Many times I had to sleep over in the studio and then go to work from there in the morning. My weekends were always fixed for recording and that was Saturdays when I wasn't working at the office. I got to a point where I wasn't going anywhere fast. I got frustrated being in the bank. I mean, I wasn't the most commercially successful artiste and still not, but I could say 'my music was and is still impacting people's lives'. Again, I felt like if I didn't move at that point I wouldn't be able to because I found myself sucking more into the job, thinking, probably, that the next day, I would get a promotion and everyday, it was becoming more impossible to quit the job, whereas I knew my first love was music. How easy was it making the decision to quit for good? It wasn't easy. I did a lot of thinking. I talked to very close people. I knew in my mind that it wouldn't be easy, but just by how much I couldn't tell. But I was still very convinced about what my purpose is, so I just had to quit. Was the acceptance of your music any encouragement to quitting? Yeah, because when I left, it was just beginning to gain acceptance. I mean, those days, the nominations awards and invitations were good signs. I won't deny the fact that not really having so much responsibilities, in terms of family, helped a lot because everybody is doing well as God will have it. So it was basically a question of what do I want to do for myself. Did it come as a surprise to your family when you left your job? Of course. My mum wasn't all that surprised because she knew of all my musical quest while I was younger. My dad is a kind of person that wanted all his children to be professionals because during his time when music wasn't anything, my dad was a classical music composer. He did the theme music for “Things fall Apart”. He studied music so he wanted us (the children) to be corporate people. He was shocked. And of course, I made sure I did it before telling them. I had to do it that way because I knew my dad would breathe heavily down my neck. My mum was encouraging but everybody is happy with what I do now. Has it paid off yet? It depends on how you want to look at it. For me to be here at this time of the day being interviewed is living the life as far as I'm concerned. I couldn't ask for anything better. I can put clothes on my body, feed myself and for me to be making a living out of what I love to do is life. What are some of the harsh realities that you have had to face as a result of switching to music for a career? At a point when I seemed to be at the peak of my popularity, I wasn't really making anything. I was hustling to get by. The truth was that the album was not getting around as fast as my name was going round. I was missing my salary and I had to make up so I went into stockbroking which I still do now although lesser. It was more difficult than I expected. It was one of the most trying times of my life. I was playing shows but not so many. It is now that things are more comfortable. Several times I was tempted to take back my job but as soon as I got to those points, something just broke. Even after I had made up my mind that I am taking a job back, something shows up and encourages me to continue. Right now I'm so stubborn that it doesn't even matter what I am making or not making. Will you say your career is moving at the pace you anticipated it would? A lot of people in the industry already think my career is fast paced. I mean 'you drop a debut album and you already have all these awards, nominations and popularity'. But the truth is when I quit my job, I was expecting my music career to just skyrocket, but it didn't happen like that then. I later sat down and looked at other people's careers even internationally and in doing that I realised that when someone moves up the ladder in a jiffy in the music industry it might be dangerous (I'm not calling names !). It's just that it's usually hard to sustain the fame, money and power. 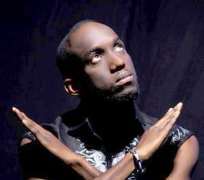 Why is it taking this long for your second album- 'The Rebirth of Obiwon'? It's because it's a rebirth. I'm going through labour pains right now. I want to get the music right and that's why it's so difficult to put a time to its release yet. The focus is not to make noise with it. I want that album that somebody will play and, no matter the genre, would want to take home. I've scheduled its release for the second quarter of next year. How many tracks are we expecting? Ten tracks and maybe a bonus track. Before then I will be putting out new singles and videos in the new year. Once you see the videos, know that the album is around the corner.